Looking northwest toward the Wrigley building, Late afternoon sun highlights the texture of relief sculpture on the Michigan Avenue bridge tower. This is a historically significan location of Fort Dearborn. 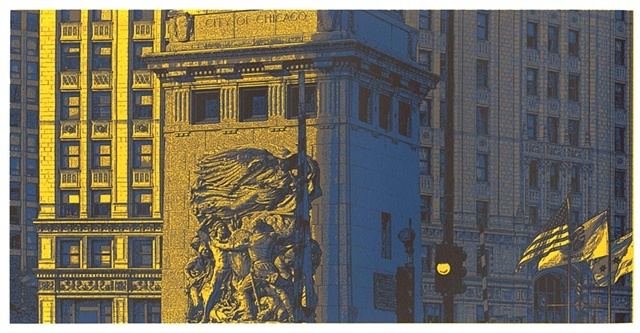 4 separate screens were used to print this image. Prints are signed, dated and titled by the artist.